Home » General » Lets play Shop in your Stash! 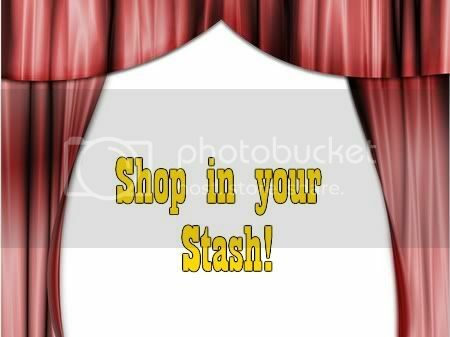 Lets play Shop in your Stash! If you read the financial pages of the papers, its mostly doom and gloom. Recession, reduced spending and rising costs dominate most of the news. Go out and eat and you’ll find food portions reduced in size at higher prices. Then you look at your paycheck and wonder if it’ll cover all these rising costs. Look in your present skincare, makeup, clothes or handbag stash or collection and pick out one item that is over 5 months old that you have not used or worn in a while. Write about it on your blog (pictures will be nice!) and link back to this post. If you link back here, I should be able to pick it up and in 1 week from today (7 November 2008), I’ll put up a roundup post of everyone who participated in this little game. If you don’t have a blog, don’t fret, just tell us in the comment section about your experience shopping in your stash. Sound like a wonderful plan. I have too many untouched but beautiful items waiting to be showed and carried around! @kahani : LOL… Maybe I’ll do a round 2 later. @Sue: Of course I don’t mind! @prettybeautiful: Come and join us! I’ve done it! 😀 Thanks for the idea, Paris. hey paris i just posted mine. thanks! @jo : Thanks for playing!